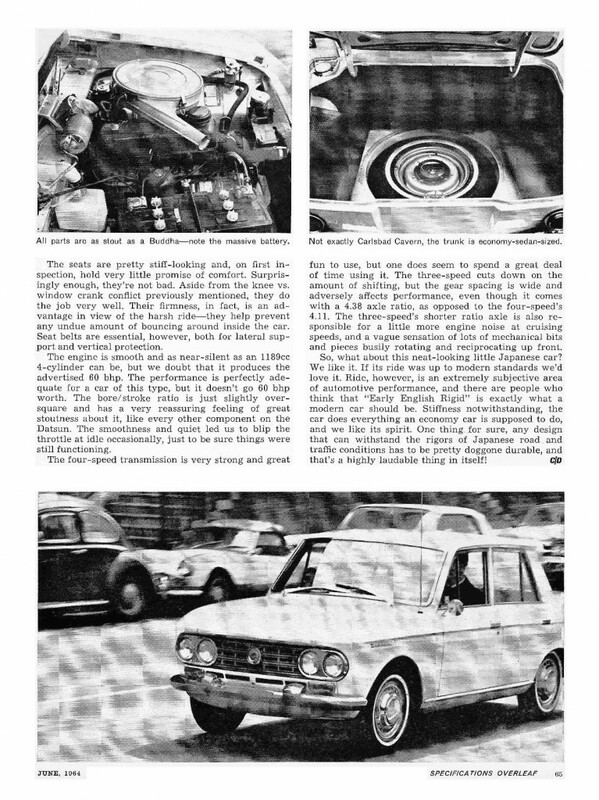 In the summer of 1964, American automakers were beginning to roll out their versions of “compact” cars, but the European offerings dominated that niche of the US market. Enter Datsun, with an entirely new way of looking at the compact sedan. 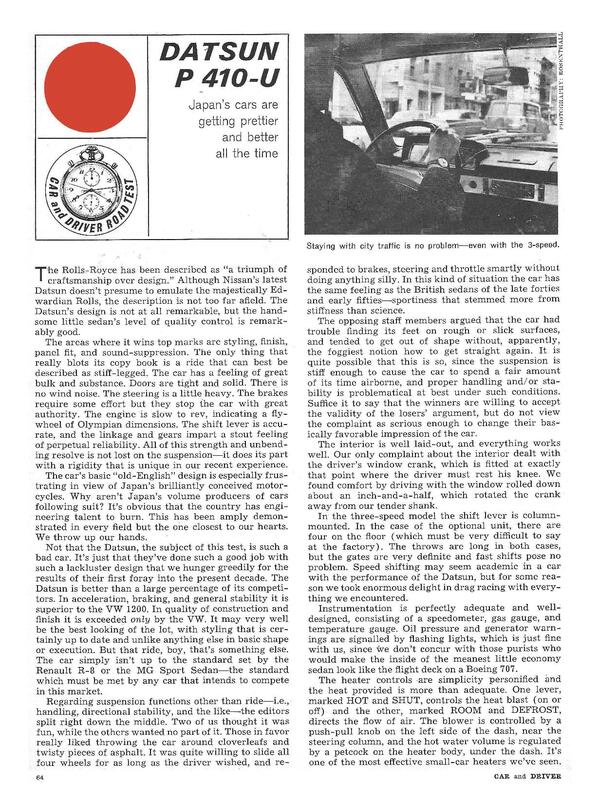 The editors loved the little Datsun 410 for its build quality, handling, braking, and comfort, but almost universally disliked the suspension. Regardless, the little 410 and its offspring, the much-loved 411, remained in production until 1967 – and paved the road for the car that would really put Datsun on the sedan map: The 1968 Datsun 510. 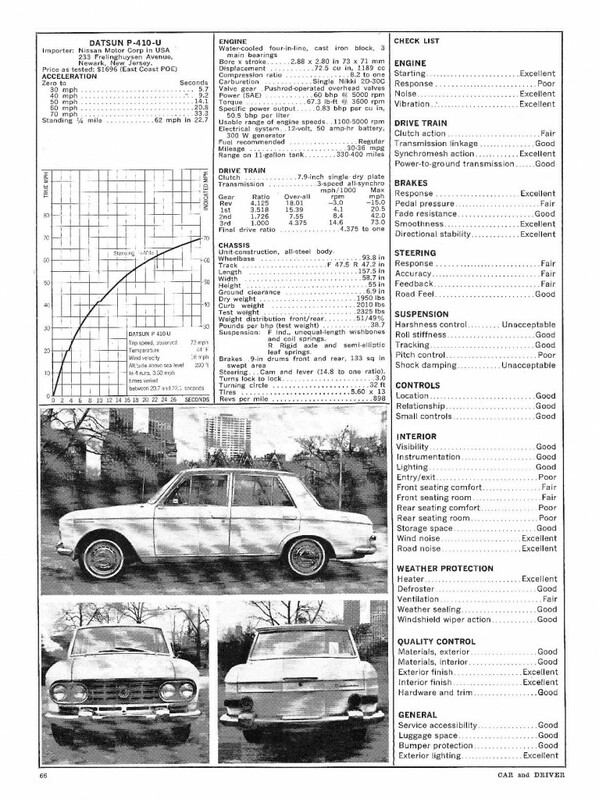 Click pics for larger images – We hope you enjoy this little stroll back into Datsun history!